Spring is fast approaching, and boy oh boy do we have some fun stuff planned for y'all! 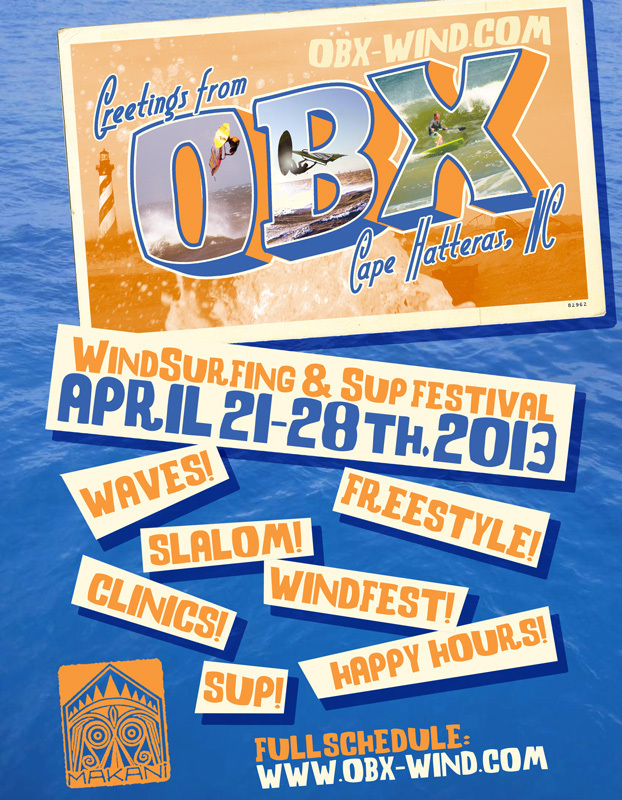 Let's start with the Makani Fins and Windfest Week, April 21-28, 2013. We have a TON of stuff on the menu. Too much to list here. Surf on over to the website for the details, and Mark Those Calendars!! I'll be updating the "events" page on Wind-NC with lots of other stuff, too, so click on over to see what's happening! I feel you should update from time to time with the events. Spring is in full swing out here on Hatteras Island! 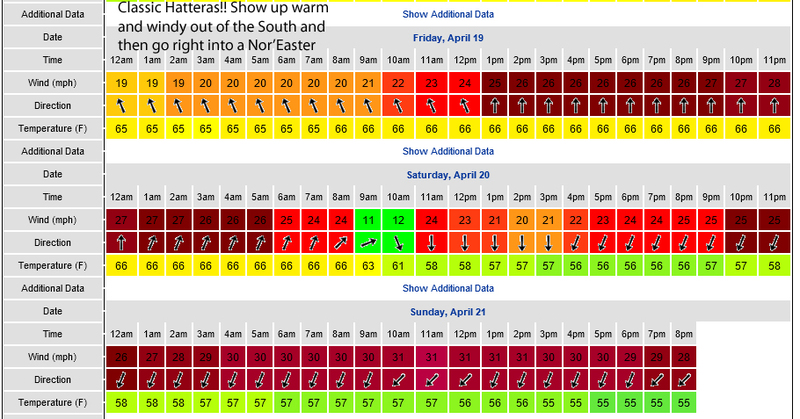 We've warmed up substantially in the last week, and have had TONs of wind. Loving it! 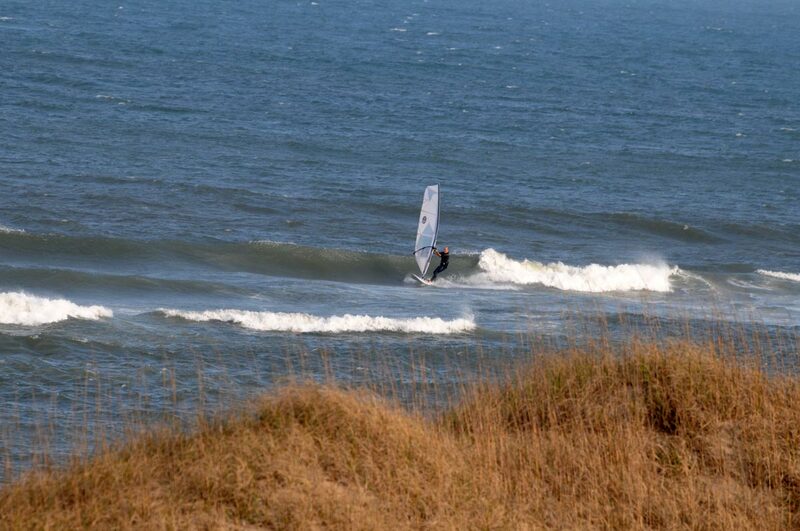 FYI- We're going to do a free wavesailing clinic at Wind-NC on Tuesday evening, 7pm, April 16th. Swing on by if you're in town! 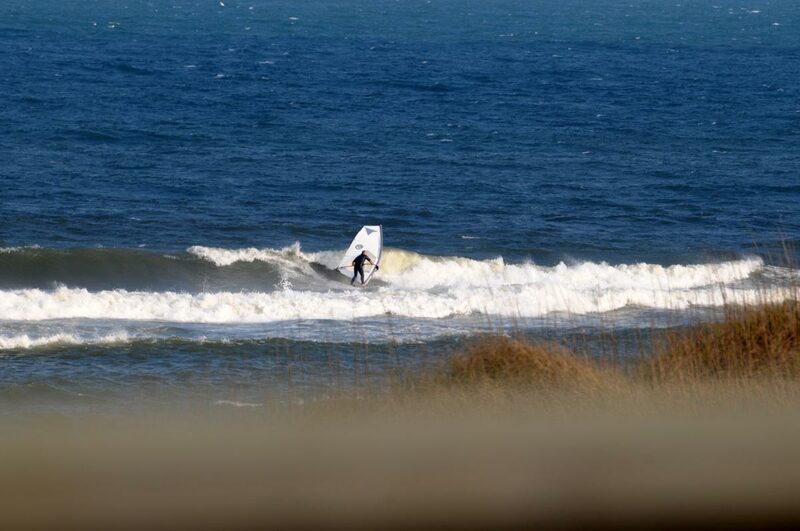 Looking forward to two weeks of fun filled action in Hatteras!!!! This was the longest winter since I moved to cape Cod in 1995!!! Can't wait to kick back in Hatteras for some fun!!! See you at ramp 30 or Askins Creek on Friday and now maybe Saturday morning. Then Makani week could start off with a bang on Sunday at the lighthouse. Rider Keith at AC this past Friday. Photo by Rick. P.S. Have fun at the Cove today!